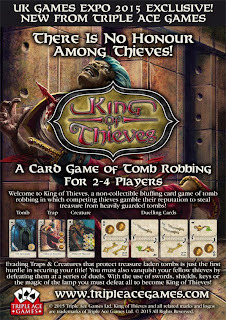 Followers on Facebook and Twitter would have already seen the news about the two new products from Triple Ace Games. Known more for their roleplaying games, Triple Ace Game made quite an impression with me at last year’s expo with Rocket Race, well they are hoping to repeat that success with not one but two small form card games. 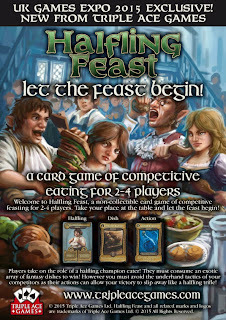 First off is Halfling Feast, a game of competitive eating. 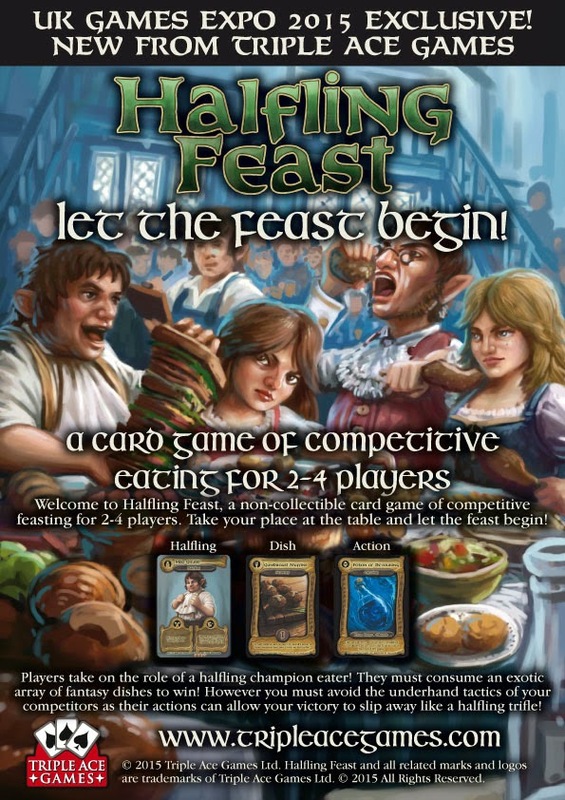 You play as Halflings in an eating competition, your aim being to consume as many dishes as possible while playing underhand tactics on your opponents. The second is King of Thieves, an Ali-Baba inspired game of tomb robbing, thievery and bluffing. Set in the world of Lands of Fire RPG players will have to navigate trap laden tombs before fighting off their rival thieves for the looted treasures. Rocket Race proved that Triple Ace Games can make simple and fun, yet mechanically sound games so I’m really looking forward to trying these out, plus the folks at Triple Ace are like eccentric British inventors so the demos at their stand are always a joy. 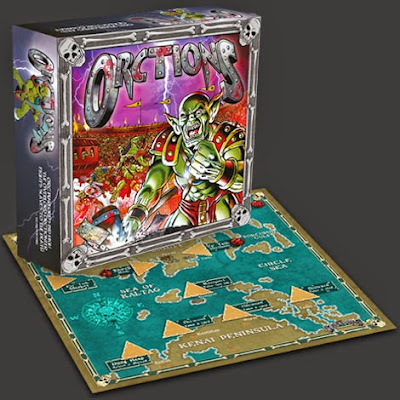 Not the only game on the list that features battling orc tribes, Orctions has players acting as Orc warlords building a gladiator school, think Spartacus with an under bite. You’ll buy slaves and train them up into ruthless green skinned gladiators and then select your chosen champion to win in the arena. Orctions combines worker placement and dice based combat but it’s the seven different auction, sorry Orction, mechanisms that make this game sound different. 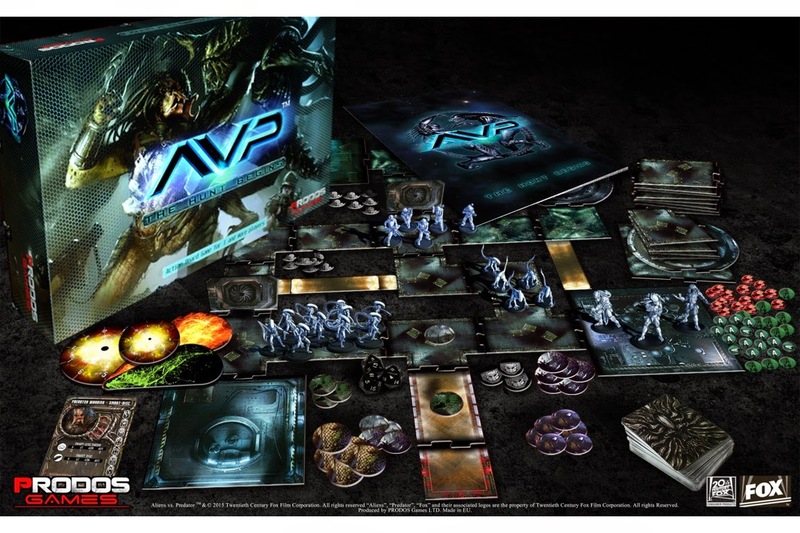 It may have been two years wait, but all the auguries point to us seeing Alien vs Predator: The Hunt Begins being launched to the general public at the UK Games Expo. 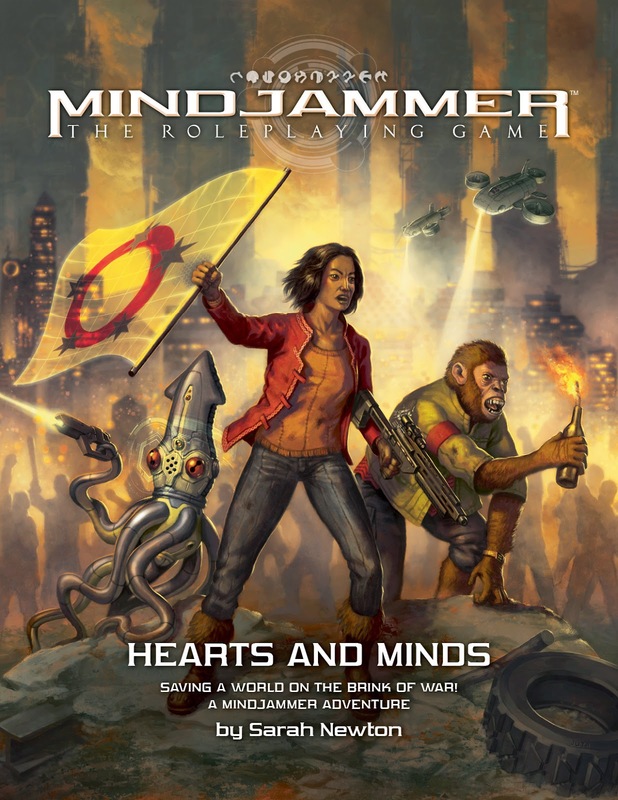 I spoke to Rob from Prodos Games at last year’s expo and since then they’ve had a bumpy ride getting the game through Fox’s signoff procedure. 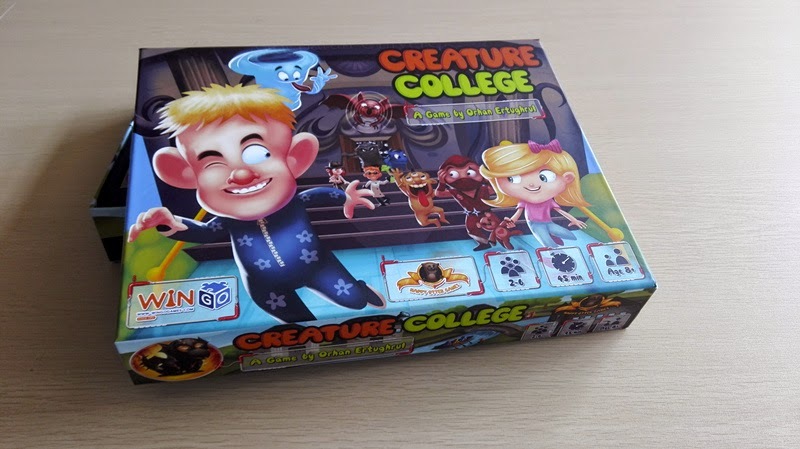 The first big game from Happy Otter Games will be hitting Kickstarter later in the year, but if you want to get a play in of Creature College ahead of the crowd funding project then the UK Games Expo is the place to be. 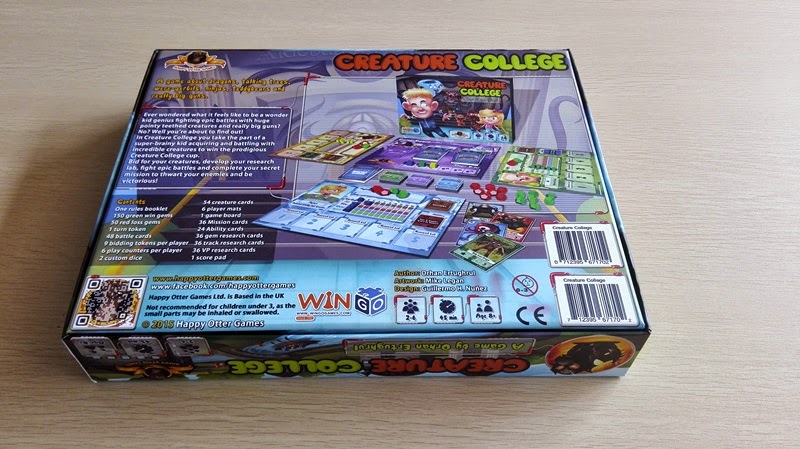 In Creature College you’ll take over a laboratory to create and evolve crazy creatures to smack down your enemies. Happy Otter Games will be running a stand at the Expo and demo copies of the game will be available from the games library. 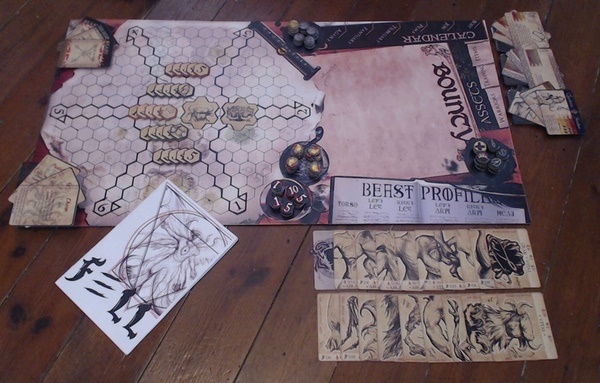 Our second Orc battling game of the convention and a game we’ve already reviewed. Tinku is a deck building game of gathering a band of orc warriors to knock out rival tribes. The game is currently on Kickstarter and the guys at Thirsty Knight Games will be running demo games of Tinku all weekend. This year’s UK Games Expo will be the first year that Death Spiral Games have a stand and they’ll be using it to launch their latest roleplaying game Sleeper. 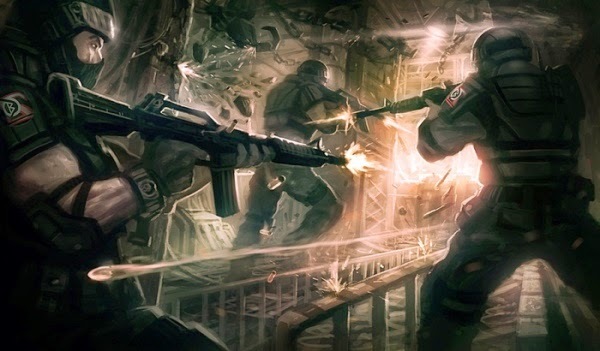 In Sleeper players take the roll of bio-engineered sleeper agents that where cryogenically frozen during the cold war and have been revived in the future. Awakened into a world of conspiracy and hi-tech military agents, the sleepers will go on missions for shady government operatives to root out secret cold war weapons and technology. Death Spiral will be selling copies of the Sleeper core rulebook and running several four-hour demo sessions of the game. 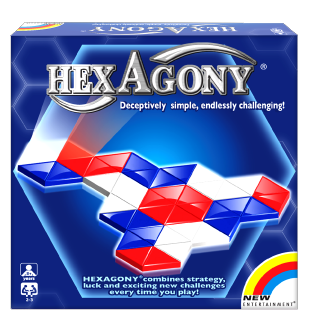 Hexagony is billed as "deceptively simple and endlessly challenging" and is an abstract puzzle game where players try to make as many hexagons of their chosen colour. Andy Allen actually designed the game back in 1985 but is ready to launch the product to the public at this week's Expo. 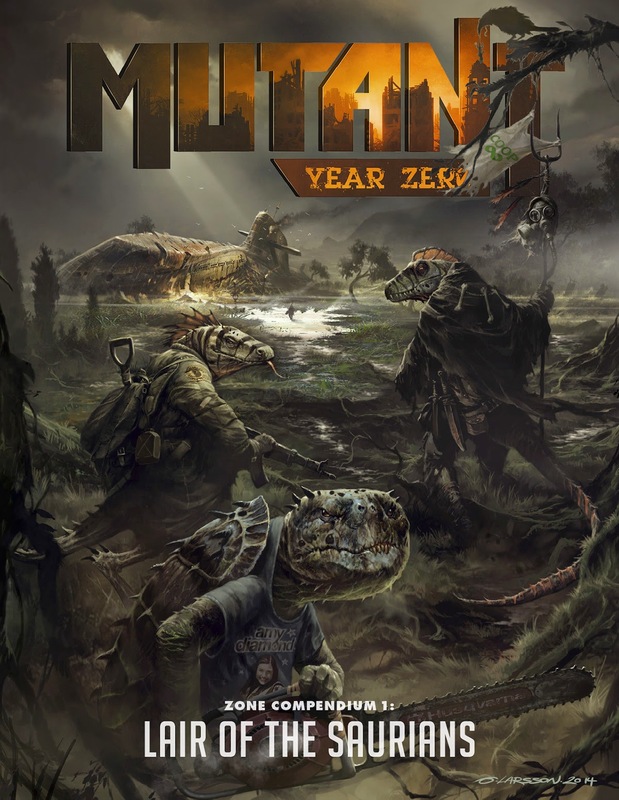 Since last year's Expo where they announced the Thunderbirds board game, Modiphius have been busy little bees and at this year's Expo you'll have your chance to get hold of the latest physical add ons for their Mindjammer and Mutant Year Zero RPGs. Hearts and Minds is an adventure for Mindjammer where players must save a world on the brink of war. Even if you do not plan to run the adventure the book includes a massively detailed world for your players to explore. 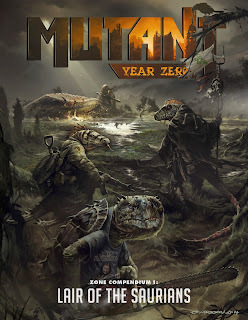 Lair of the Saurians is the first official supplement for Mutant Year Zero and includes a host of scenarios, locations and tools that can enhance the game. Launching today on Kickstarter ready for the Expo is Fell, a cooperative game about joining forces to bring down mighty Chimera inspired monsters. Inspired by Shadow of the Colossus and Attack on Titan, players take on the roles of wealthy merchants looking to gain fame by taking down these beasts. The monsters are made up of random assortment of heads, so you are guaranteed a different game every time and players will have to hire out ruthless mercenaries to take the creatures down. If you want to try out the game before pledging head over to L28. That’s a pretty exciting list of new games that we know about and there’s bound to be more we don’t know about (but I’m not getting into all that known unknowns nonsense). There’s also going to be games from publishers all over the world being demoed and sold, it’s only a few days away.